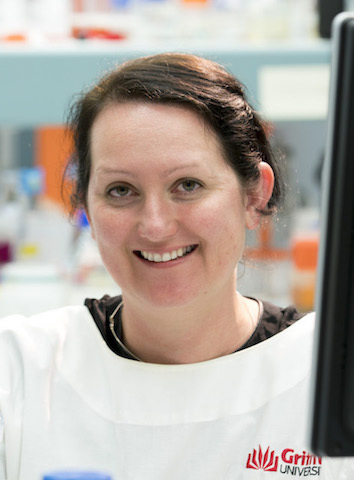 Dr Kate Seib has a Bachelor of Science majoring in Microbiology and Biochemistry, and a PhD in Microbiology from the University of Queensland (UQ). She worked briefly as a Postdoctoral researcher at UQ, followed by 6.5 years at Novartis Vaccines (Siena Italy) as a Postdoc and a Project Leader. Dr Seib returned to Australia in late 2012 and is a Group Leader and NHMRC Career Development Fellow at The Institute for Glycomics (Griffith University, Gold Coast). Her current research is focused on studying vaccine candidates and the mechanisms of disease of human bacterial pathogens including Neisseria meningitidis, Neisseria gonorrhoeae and Moraxella catarrhalis.